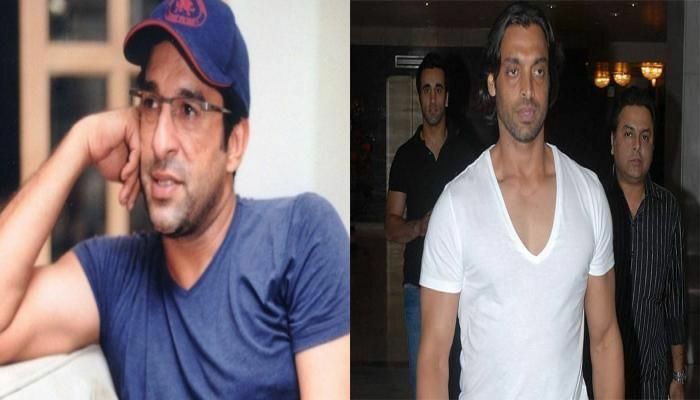 After the Shiv Sena stormed the Board of Control for Cricket in India (BCCI) headquarters in Mumbai, protesting against the talks for a Indo-Pak cricket series, former Pakistan cricketers Shoaib Akhtar and Wasim Akram will leave India after the fourth ODI between India and South Africa. The duo are part are part of the official broadcaster's commentary team. As a precautionary measure, the both of them will return home as the fifth ODI will be played in Mumbai. According to Cricinfo, Arsalan Haider, who is the agent of Akram has said that the duo would commentate in the fourth ODI in Chennai and will return on 23 October, two days before the Mumbai ODI. Earlier on 19 October, International Cricket Council (ICC) had withdrawn Pakistan umpire Aleem Dar for the last two ODIs. Meanwhile, BCCI secretary Anurag Thakur had said that Dar's presence will not be affected by any threat from any group.